Being able to play your own movies and songs locally on your PC is incredibly useful. By default, most Windows users will use Groove music or Windows Media Player. Unfortunately, both of these aforementioned options aren't perfect. Whilst they're filled with features, they can often have issues with performance and responsiveness. This is where VLC Media Player comes in. 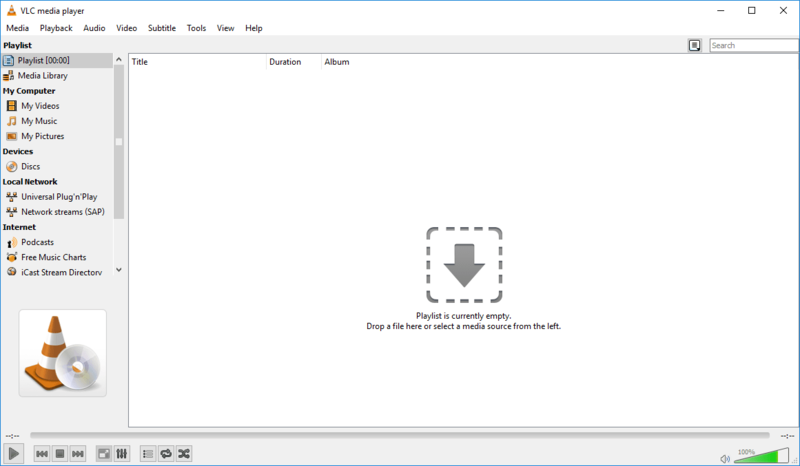 VLC Media Player is completely free to download and install - the .exe program file is very tiny. This lightweight file size translates well when you open the program for the first time, too. You'll quickly find that it is incredibly easy to run, even on older machines. There are also no adverts in it, so you're free to use all of its functionalities without any restrictions. It is best known for its ability to support practically every media file under the sun. This is certainly true - if you have any strange music or movie file types that don't work in Windows Media Player, chances are they'll work on VLC Media Player. It can also instantly import videos from other sources online, such as YouTube. You simply need to copy the video link, click Media, and click 'Open location from clipboard'. 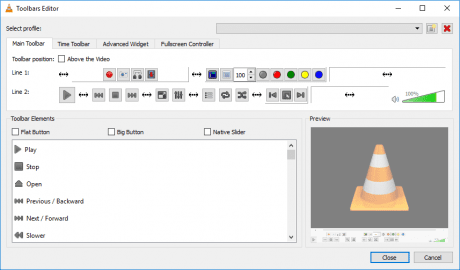 There are a number of tools available to make it a more comprehensive suite of media software, too. This includes a built-in equalizer that can be used to choose preset sound profiles or create your own. 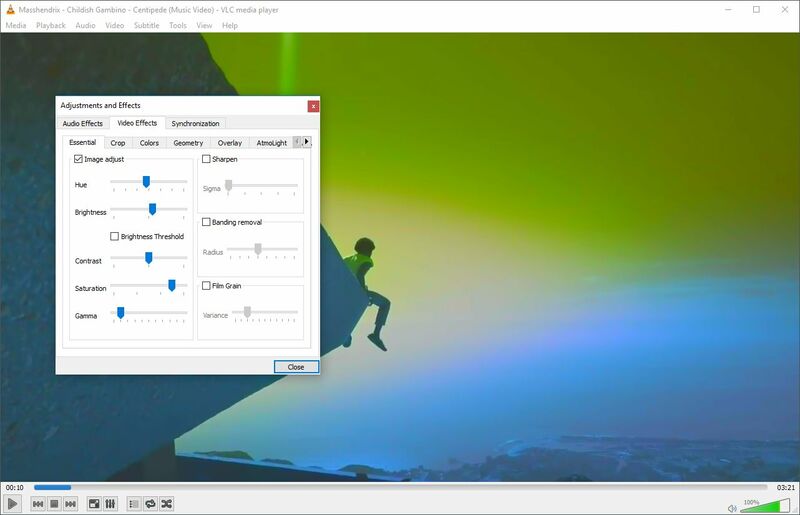 You can also add video effects to any video file to improve things like brightness, colors, or saturation. 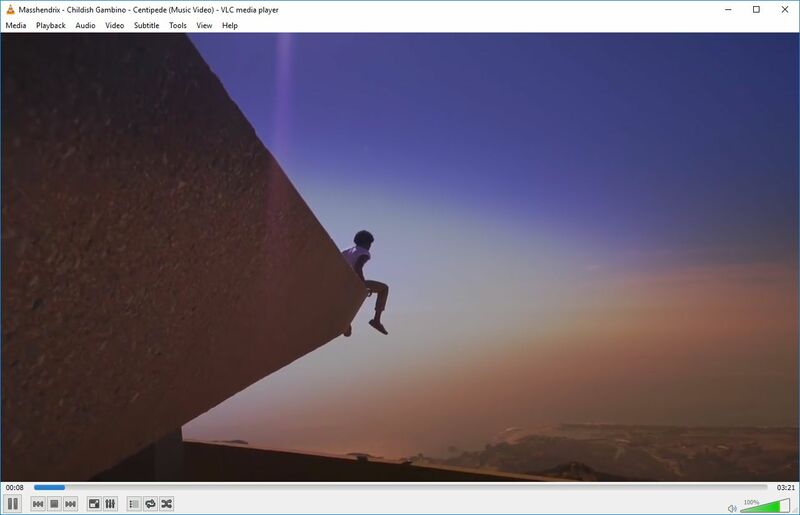 If you're a fan of fancy/modern interfaces, VLC Media Player will unfortunately let you down. There are a number of customization options available via Tools > Plugins and extensions, where new skins can be also picked up, but the available options look like something that belongs back in the early 2000's. The interface in this software is as barebones as it can get. There is a tool for creating a media library, but it's limited when compared to the competition. To enable the media library, you can click Tool > Preferences > tick All > Playlist > tick Use Media Library. Getting used to it when coming from something like Windows Groove can be difficult, too. 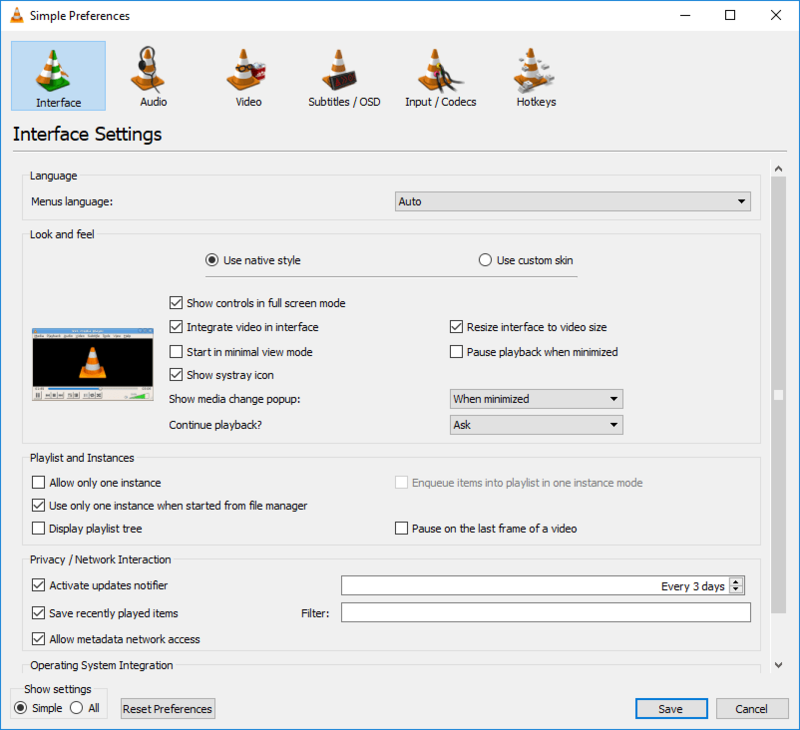 By default, you'll have to use the media menu on VLC Media Player or the Windows file explorer to play music and movies. To gather media from the toolbar takes more fine-tuning within the tools menu (via Tools > Customize Interface). All in all, VLC Media Player is a very useful piece of software for playing media files. You'll like it, as long as you can get used to the interface.